Aquamarine Pools installs over 800 pools per year. This makes Aquamarine Pools the largest Fiberglass Pool builder in the United States. Aquamarine has up to $1,000,000 in inventory and the financial backing to handle any problem that can or could arise. Aquamarine has a 99.89% satisfaction rating. Aquamarine is a licensed (L451994) master builder. The state of Texas does not require pool builders to be licensed. Aquamarine feels all builders should be licensed however. Builder licensing assures the public that a builder has at the very least, some basic construction skills and knowledge. Is the pool builder you are talking to licensed? Aquamarine holds Builders Licenses in multiple states. Aquamarine's pools and installations are ICC-ES Certified (International Construction Code Evaluating Service). What does that mean? Processes and procedures are followed through the manufacturing and installation process. This makes a quick and quality installation swimming pool process. Is the pool builder you are talking to ICC-ES Certified? 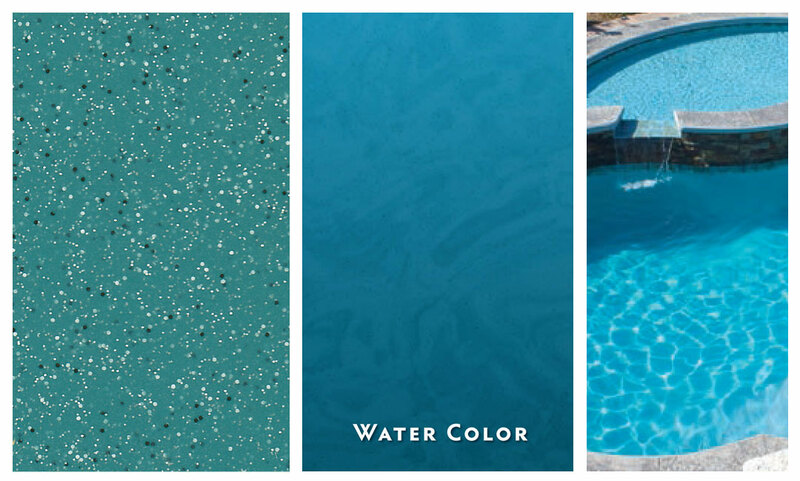 Aquamarine Pools is the builder of choice for inground fiberglass swimming pools and is a select Viking Pools Dealer. 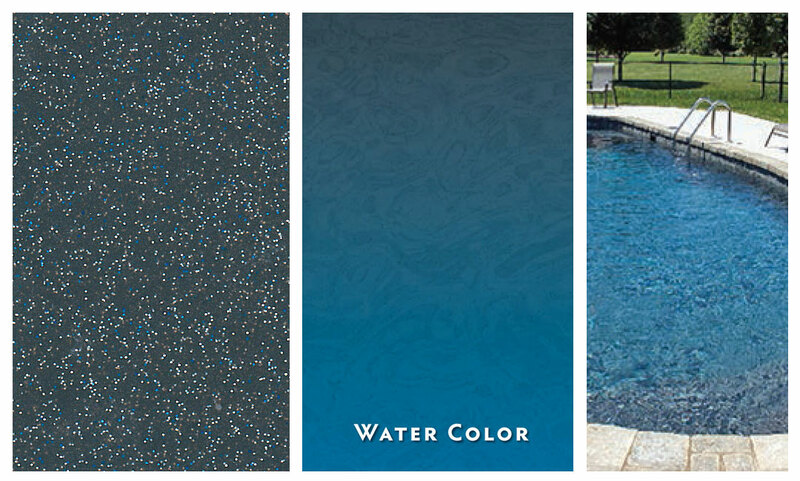 Trilogy Pools is the industry leader in pool surface finishes. Trilogy was the “first to market” with HydroStone finishes. We have thousands of pools installed during the last decade with excellent performance. We even built chemical testing tanks for a leading pool chemical manufacturer—an environment many times more abusive than your backyard will ever be. Trilogy’s unique HydroStone surface colors have the look of high-end "pebble" finishes without all of the maintenance. 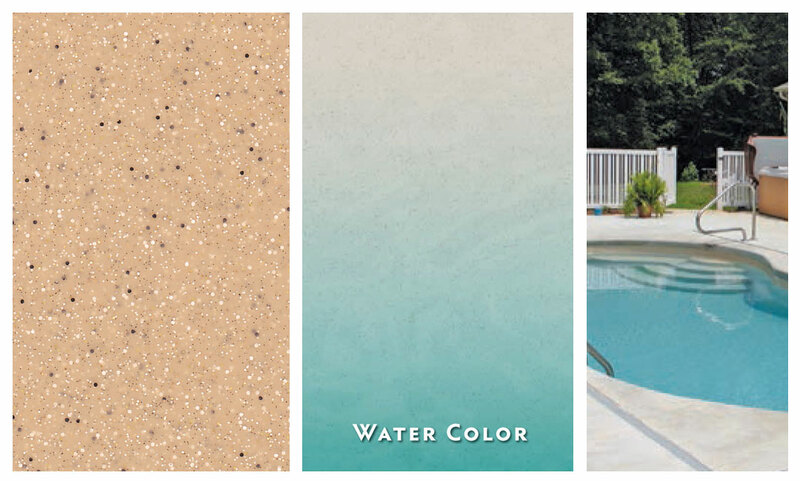 This finish gives Trilogy Pools a stunning visual texture combined with a smooth and maintenance-free surface. 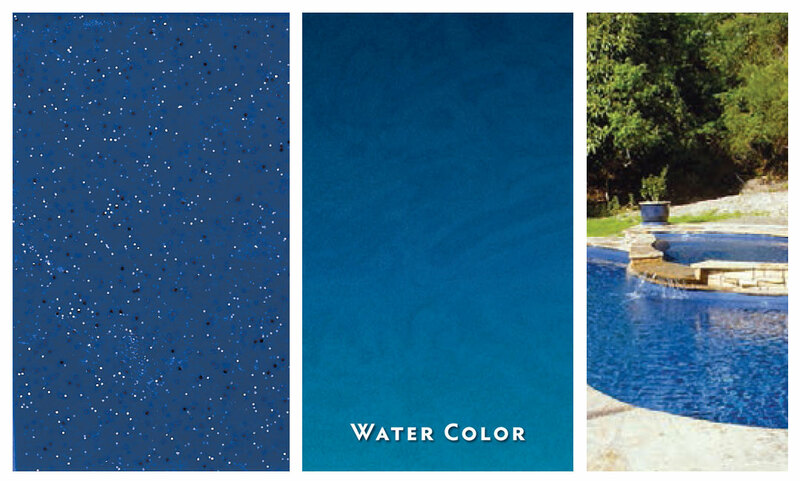 HydroStone is available in six exciting colors specifically designed for swimming pool applications. From focus groups to individual homeowners to award-winning pool design consultants, we sought out the best palette of colors to complement the widest array of designs. The result is our offering of six exciting colors, each available with our sparkle additive. 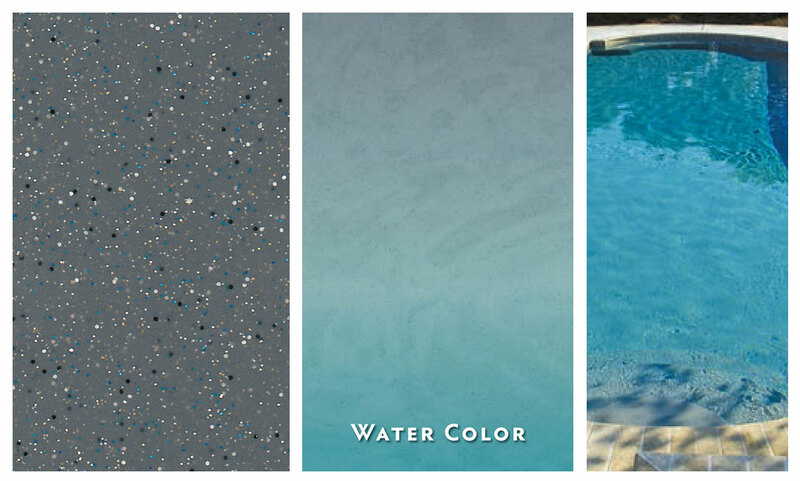 Ask your pool builder to show you the Color Sample Binder with physical samples of each color. Note: It’s very difficult for a digital image, rendered on computer monitor, to do justice to the visual depth and beauty of our HyrdoStone finishes. 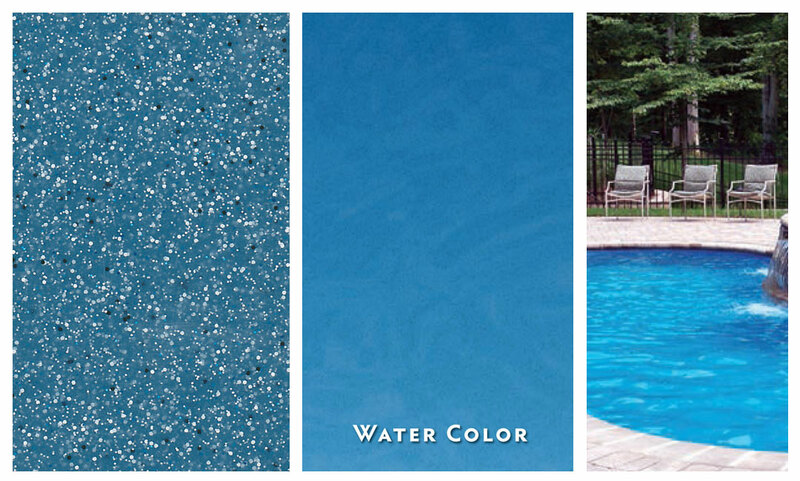 Ask your Trilogy Pool Builder about this revolutionary product today and see the color samples for yourself! Nothing on the market today comes close to the beauty of HydroStone. Aquamarine Pools - aquapools.com was founded in 1997. Each year we grow larger with more and more locations to serve you! Aquamarine Pools - aquapools.com specializes in inground Fiberglass and Carbon Fiber Composite pools. We build award winning fiberglass swimming pools throughout Texas. Aquamarine Pools offers over 200 high quality, award winning in ground fiberglass pool & spa models from Viking Pools, Trilogy Pools, Blue Hawaiian Fiberglass Pools, and Liberty Pools. With every fiberglass pool, we offer up to a lifetime warranty on both pool and spa structures and up to a lifetime warranty on the surface. Our fiberglass pools are even warranted against staining and fading. This, combined with residential and commercial construction since 1976, is just part of the reason to make Aquamarine Pools - AQUAPOOLS.COM your premier fiberglass swimming pool builder! Fiberglass Pool Installation areas in Texas include: Spring, Huntsville, Trinity, Houston, Galveston, Sugarland, The Woodlands, Tomball, Port Arthur, Bryan, College Station, Willis, Baytown, Austin, Copperas Cove, Killeen, Belton, Temple, Waco, San Marcos, Round Rock, Georgetown, Dallas, Fort Worth, Denton, Arlington, Terell, Waxahachie, Corsicana, Humble, Cameron, Pearland, Katy, Conroe, Magnolia, Harris, Montgomery, Williamson, Travis, Santa Fe, Dickinson, La Marque, Hutto, Porter, Beaumont, Richmond, Angleton, Freeport, Lake Jackson, Clute, Hitchcock, Brazoria, Victoria, Bay Ciy, Port Lavaca, Palacious, Matagorda, San Antonio, Schertz, Windcrest, Universal City, New Braunfels, San Marcos, McQueeney, Seguin, La Vernia, Falls City, Floresville, Boerne, Helotes, Poth, Marion, Garden Ridge, Selma, Castle Hills, Hollywood Park, Shavano Park, Grey Forest, Fair Oaks Ranch, Spring Branch, Bulverde, Canyon Lake, Atascosa, Poteet, Nixon, Gonzales, Comfort, Kerrville, Medina, Pipe Creek, Freer, Stockdale, Elmendorf, Adkins, China Grove, St. Hedwig, Cibolo, Converse, Alamo Heights, Pleasanton, Sutherland Springs, Smiley, Leesville, Cuero, Luling, Waelder, Shiner, Yoakum, Victoria, Yorktown, Goliad, Kenedy, Karnes City, Three Rivers, George West, Mathis, Corpus Christi, Cotulla, Dilley, Pearsall, Devine, Hondo, Uvalde, Junction, Fredericksburg, Wimberley, Blanco, Kendalia, Fischer, Martindale, Kingsbury, Flatonia, Moulton, Bellmont, Refugio, Beeville, Odem, Sinton, Port Arthur, Groves,Nederland, Winnie, Taylor Landing,China, Sour Laky, Liberty, Mount Belvieu, Kountz, Lumberton, Silsbee, Dayton, Crosby, Devers, Daisetta, Orange, Warren, Ivanhoe, Woodville, Livingston, Diboll, Lufkin, Jasper, Nacogdoches, Newton and all surrounding areas. Fiberglass Pool Installation areas in Louisiana include: Lake Charles, Eunice, Opelousas, Lafayette, New Iberia, Vinton, Sulphur Lake Arthur, Welsh, Jennings, Crowley, Deridder, DeQuincy, Rosepine, New Llano, Lewisville and all surrounding areas.